Network and application performance performance monitoring tools often do not help enterprises very much with optimizing quality of experience (QoE). Why does this matter and how to fix it? One of the biggest challenges faced by enterprise IT teams today is how to provide end-users with excellent quality of experience (QoE). The best scenario: most users take it for granted that applications and connectivity work without a problem. Easier said than done, of course. The enterprise IT environment is a fast-changing one, with diversified applications (including software as-a-service/SaaS, packaged, and hybrid-cloud applications) distributed in both private data centers and public clouds. The keywords here are end-to-end and top-to-bottom: bring NPM and APM together to cover the entire network from data center to application endpoint, and from Layer 2 through 7. Quickly isolate issues: where does the problem originate? Client? LAN? WAN? Server? Application? We have the Gartner-recognized solution that lets you achieve true 360 degree visibility by combining NPM and APM. It’s called SkyLIGHT™ PVX, and it’s possible because we acquired Performance Vision and combined their technology with our own to create a new type of performance platform that covers the network end-to-end (core to edge) and top-to-bottom (Layers 2-7). What is SkyLIGHT PVX? A passive, wire-analytics solution that delivers unified performance management with best-in-classes resolution and speed. It’s highly scalable and easy to set up. Traffic is captured and analyzed in real time to provide actionable insights across complex, multi-cloud network environments. Applications? Links? Users? SkyLIGHT PVX covers them all! Here’s how it works: traffic flows are captured and analyzed in real-time. Metadata is stored in a centralized data store for reporting. In just four clicks, and only a few minutes, it’s easy to get information on specific applications and drill all the way down to TCP session details and transactions. 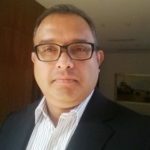 Arun is an expert in IT and network infrastructure business development, applying more than two decades of experience in business development, sales, systems engineering, and global projects deployment to help guide strategic direction. He holds a bachelor’s degree in engineering from Mangalore University. Non-Intrusive Service Activation Testing (SAT)?! It Is Possible!